A Kurdish faction with links to Iran marched deep into northern Iraq on Monday, ignoring warnings from Saddam Husseim and U.S. officials. 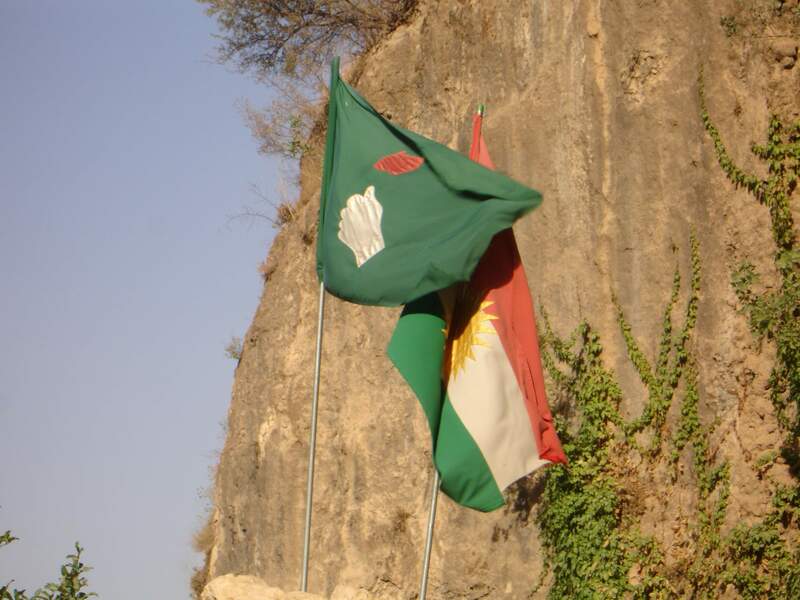 One day after recapturing their stronghold of Sulaymaniyah, the faction known as the Patriotic Union of Kurdistan was approaching Irbil, the capital for the Kurdish region. “We have no plans at present to retake Irbil because it’s surrounded by Iraqi tanks, but we’ll leave that to the people of Irbil,” Jalal Talabani, leader of the Patriotic Union of Kurdistan, told the London-based Arabic daily al-Hayat. An attack against Irbil, seized from the Patriotic Union last August by Iraqi troops and their Kurdish allies, would likely draw Iraq back into the fighting. The thrust by the Patriotic Union, which started Friday, shifts the balance of power for the second time in six weeks. In late August, it was the Patriotic Union that was fleeing a military blitz at the hands of the Kurdish faction, the Kurdistan Democratic Party. Iraq urged the Kurdish factions to settle their differences through talks. It warned the Patriotic Union against “dealing with foreign powers,” a reference to the group’s Iran links. Reports that soldiers from Iranian National Guard units had entered Iraq could not be confirmed. Iran denied on Monday its troops were backing the PUK. U.S. officials cautioned both Iran and Iraq against getting involved in the dispute. “We see no constructive role for either Iraq or Iran in this conflict,” White House spokesman David Johnson said. U.S. officials also spoke to both Kurdish groups, urging them to resolve their differences. Leaders of the Kurdish Democratic Party, the faction supported by Iraq, were en route to Washington for previously scheduled talks. “As far as I know that visit is still on,” State Department spokesman Nicholas Burns. The delegation had left northern Iraq and was in Turkey. The Patriotic Union wants complete independence from Iraq. The other faction prefers accommodation with Saddam.